As a social media marketer, your time and efforts are precious, and you cut out the extras to focus on platforms that gain your company the most traction. 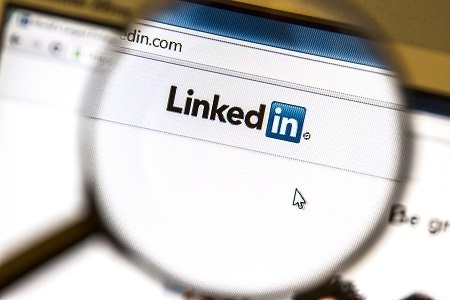 LinkedIn is one of the big players, connecting your company with more than 300 million other professionals, many of whom are considered quality leads rather than just quantity. In fact, a study by Hubspot shows LinkedIn generates the highest visitor-to-lead conversion rate at 2.74%, almost 3 times higher (277%) than both Twitter (.69%) and Facebook (.77%). As with any marketing endeavour, you have to input strategic content in order to see the results. Publishing content on LinkedIn can exponentially attract more leads, and GaggleAMP is here to help extend your reach through social advocacy! Quality AND Consistency: Publishing high value content is great, but consistency is what gains a loyal following. Your content should always include a catchy, descriptive title, visual cues, and brief but engaging content. Your goal is to get the information out there quickly and concisely with an added flair of aesthetics to catch the eye of potential leads. If your content isn’t up to par, users will start ignoring you, and your frequency of posts may cause you to get filtered. Don’t forget to share those posts with your networks as well! Generate Ideas: You may start with a long list of ideas and, as you post, you’ll see that list dwindle. At some point, you’ll need to do a little searching to come up with new and inventive topics. Relevant groups in the industry are buzzing with topical ideas, and paying attention to these groups can help you stay ahead of the game. Identify Your Ideal Customer: By knowing who you want to target, you can better tailor your posts on LinkedIn. Ambiguous and similar posts will eventually lose their novelty, and users with a specific interest may filter you out. Target your posts to those you want to attract the most! Don’t Undervalue Your Story: Users typically love to know the story behind the business, and your storytelling abilities can pay off in lead generation. Also, these types of posts typically see higher sharing statistics, thus extending your social reach. Cross-Reference: LinkedIn has users in every industry who have a large following with engaged followers. Cross-reference to these users to syphon their leads! There’s strength in numbers, and you may also benefit from a partnership of sorts where you and another industry user promotes one another to gain traffic and social traction. Also, don’t forget to cross-reference with your other posts when appropriate as well as reference to your website. At the end of the day, publishing content is only effective if the content is engaging, consistent, and high-quality. Remember who your target audience is, and continue to engage users when they comment on your published post. LinkedIn is a valuable asset for any social media mogul, and with statistics showing a high conversion rate on LinkedIn, you’re already set up for success! What have you found to be helpful to gain leads when publishing content on LinkedIn?